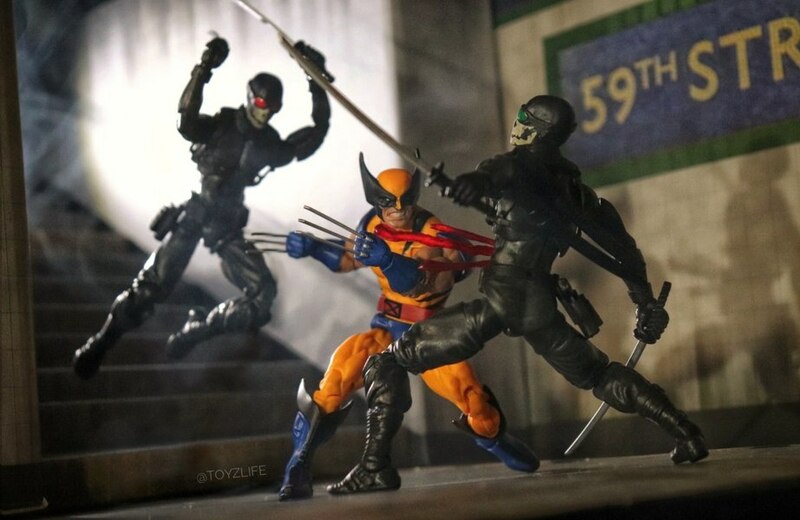 For today's photo we are spotlighting Photographer Toyzlife and his photo showing off the Marvel Legends Tiger-Stripe Wolverine figure. The photo is titled "Slice & Dice". You can purchase Marvel Legends figures from our sponsor BigBadToyStore.com. What blood effects are those!?! They look awesome! There is always something or someone wanting a piece of the Wolverine. This shot makes me realize how insanely bad we need Hand Ninjas for the ol’ Canucklehead to fight in solo photos.